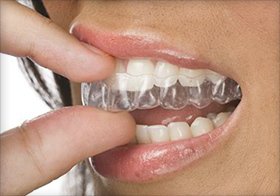 ClearCorrect orthodontics for adults enables us to help our adult patients get the straight teeth they’ve always wished they could have without the embarrassment and hassle accompanying traditional metal braces. In fact, ClearCorrect may be called “orthodontics for adults” because the treatment fits so well in adults’ schedules, work lives and social lives. Getting straight teeth is more attainable now than ever and ClearCorrect orthodontics for adults is frequently the treatment of choice for our Palm Harbor and Trinity patients. Below are common bad bite issues ClearCorrect orthodontics for adults is able to solve. If you have one or more of these teeth alignment issues, ClearCorrect may be perfect for you. CROSSBITE | A crossbite is a bad bite issue where your upper and lower teeth are not properly aligned. This misalignment can cause chewing problems and other jaw and teeth issues. CROWDING | Crowding is a common bad bite issue ClearCorrect is utilized for. When teeth grow in too tightly the result is a crowded smile where teeth are pushing each other out of alignment. Crowding can be painful, unsightly, unhygienic and lead to more serious dental issues. SPACING | Bad bites due to large gaps or spaces between teeth are unattractive and can reportedly increase the possibility of tooth decay. OVERBITE | An overbite is a bad bite situation where the upper teeth extend too far forward over the lower teeth. This is obviously a cosmetic concern but can also lead to other dental issues. 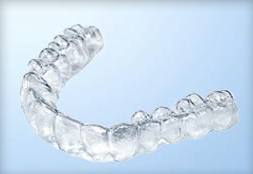 ClearCorrect orthodontics for adults may be the perfect solution for you to get the straight teeth you want. You can’t know for sure until you meet with a ClearCorrect dentist and confirm that the treatment can in fact help you get straight teeth. If you don’t think ClearCorrect is the right option, we also offer Six Month Smiles clear braces. Schedule a visit with us today at either of our offices in Palm Harbor or Trinity to take a huge step closer to straight teeth. We look forward to meeting you if you are in the area, including East Lake!